Mutual fund schemes are excellent investment avenues where one can reap the benefits of investing in the stock markets and money markets instruments without the attendant risks of investing directly. 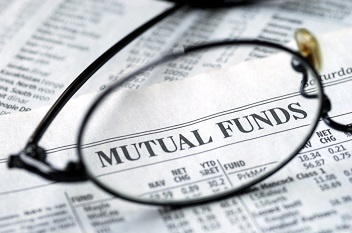 Mutual fund schemes are excellent investment avenues where one can reap the benefits of investing in the stock markets and money markets instruments without the attendant risks of investing directly. Also, one needs to have a deep understanding, knowledge and experience to ba able to succeed in investing directly in the securities markets. First and foremost, you need to assess and understand your financial position in terms of your income and expenditure, age and your risk appetite. Once you have done this exercise, you need to decide on your short, medium and long term financial goals. The goals can be owning a house, marriage, children’s education and their marriage, retirement, etc. Then you need to ascertain your risk profile in terms of low, medium or high risk appetite. This will help you decide on your asset allocation in terms of dividing the proportion of capital to be invested mutual funds that invest in equities, debt, gold, etc. So, if you are young, you may be comfortable with high risk investments such as equities, so you can go for mutual funds that invest majorly into equities. The high risk appetite investors can also consider investing in sectoral mutual funds that invest in specific sectors. These investors can also consider investing in mutual funds that majorly invest in small cap stocks. A person with a medium risk appetite can invest in balanced mutual funds that try to strike a balance between risk and reward by investing equally in equity stocks and debt instruments. A person with low risk appetite and with expectation of low but steady returns can consider investing in mutual funds that majorly invest in government bonds and securities. After taking into account the above factors, you should compare the performance of the funds over the last one, three and five years and select a fund that has been consistent in its performance over all three periods of time. Such comparison is available over many mutual fund websites.